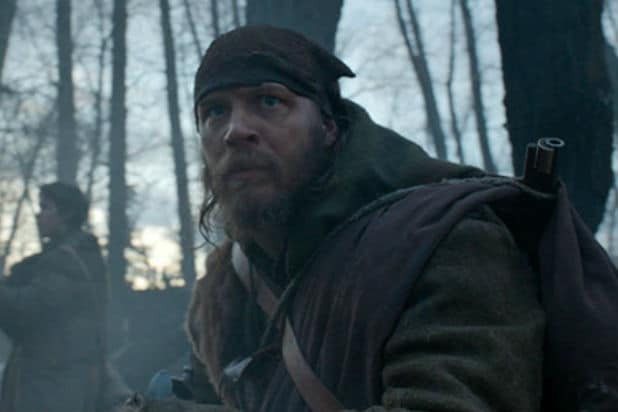 SURPRISE: Tom Hardy, nominated Best Actor, “The Revenant”Leonardo DiCaprio has dominated conversations surrounding the grueling shoot and high art of "The Revenant," but Hardy suffered right alongside him -- and was rewarded with a Best Supporting Actor nomination. SNUB: "Carol," not nominated Best PictureTodd Haynes' dreamy period piece fetched acting, score and cinematography nominations but was shut out of the Best Picture race. SURPRISE: "Ex Machina," nominated, Best Visual EffectsAlex Garland’s dystopian love story drew a nomination for Best Visual Effects over Colin Trevorrow’s record-setting “Jurassic World,” which is literally filled with screaming, stomping, fighting dinosaurs. SNUB: Ridley Scott, not nominated Best Director, "The Martian"The exclusion of Ridley Scott from the Best Director category is enough to make you want to move to Mars. While the longtime movie maestro claimed a Golden Globe award, he was left off of the 2016 list entirely, presumably bumped by surprise nominee Lenny Abrahamson. 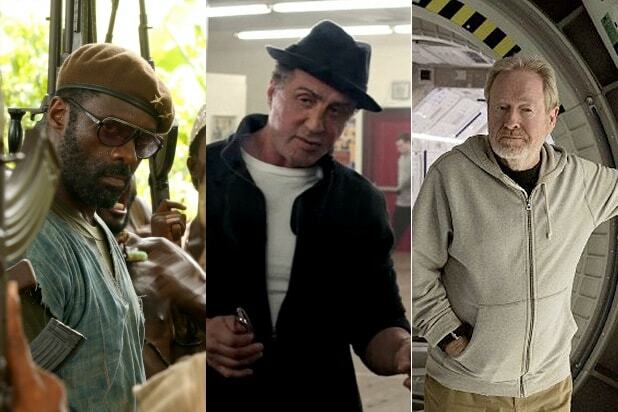 SURPRISE: Sylvester Stallone, nominated Best Actor in a Supporting Role, "Creed"Conversations on Ryan Coogler’s “Creed” never roared like an audience at a Las Vegas bout, but here we are — Rocky Balboa himself is headed to the Dolby Theater as Sylvester Stallone joins a Best Supporting Actor category that includes Mark Ruffalo and Christian Bale. SNUB: Idris Elba, not nominated Best Actor, “Beasts of No Nation” The excessively likable and highly pedigreed Elba could not earn a spot among the Best Actor crowd for “Beasts of No Nation” despite his edgy positioning with hot director Cary Fukunaga and streaming release platform Netflix. SURPRISE: Lenny Abrahamson, nominated Best Director, "Room"Sure, the director’s “Room” is an emotional marathon and, frankly, a technical feat for creating a universe within those tiny walls -- but it was surely a surprise to hear his name called for Best Director over Ridley Scott’s. SNUB: “See You Again,” not nominated Best Original Song, "Furious 7"Wiz Khalifa and Charlie Puth’s “Furious 7” anthem served not only as a radio hit but also a tribute to the late Paul Walker. It was all but guaranteed that the creative eyebrows of Puth and NBA-level tattoos of Khalifa would suit up to claim a Best Original Song Oscar come February. Sorry boys, maybe we’ll see you again. SNUB: Amy Schumer, not nominated Best Original Screenplay, "Trainwreck"America’s acidic sweetheart Schumer was a fledgling leading lady in Universal’s “Trainwreck,” but had a serious shot at Best Original Screenplay for her comedy with Bill Hader and Brie Larson. SURPRISE: “Inside Out,” nominated Best Original ScreenplayAny Pixar film is a presumed nominee if not winner, but it was unexpected to see the Amy Poehler-fronted film nominated for Best Original Screenplay. We imagine all the writers attached are feeling only Joy. SNUB: Johnny Depp, not nominated Best Actor, “Black Mass" Forget the Ed Harris makeup — Johnny Depp did an extraordinary job playing Whitey Bulger in Warner Bros. “Black Mass.” Many thought the A-lister would be among peers like Leonardo DiCaprio in the Best Actor category. SURPRISE: Charlotte Rampling, nominated Best Actress, "45 Years"Charlotte Rampling was nominated for her role in "45 years" in the Best Actress category along with Jennifer Lawrence, Cate Blanchett, Brie Larson and Saoirse Ronan. Rampling was a strong contender in October, but no one really talked about the film throughout the rest of award season. For example, she didn't receive a Golden Globe or SAG nomination. SNUB: Will Smith, not nominated Best Actor, "Concussion"He delivered a spectacular performance as Dr. Bennet Omalu in "Concussion," but Will Smith didn't receive a nomination in the Best Actor category despite making everyone's radar following his Golden Globes nom. SURPRISE: "The 100-Year Old Man Who Climbed Out The Window and Disappeared," nominated Achievement in Makeup and HairstylingFor the Danish film to be nominated at all came as a complete surprise because most hadn't even heard of this film. Released in May in only 76 theaters, it grossed $944,000 dollars. It took the place within the Makeup and Hairstyling category of films like "Cinderella," "The Danish Girl," "Ex Machina," "Black Mass" and "Star Wars," which all received Makeup Guild Awards nominations. SNUBS: "Peanuts"/"Minions"/"Good Dinosaur," not nominated Best Animated FeatureThose three films were left out of the nominations for Best Animated Feature, replaced by surprises "Boy and the World" and "When Marnie Was There." "Minions" is an especially surprising omission because it made $336 million domestically and broke several box office records for Universal at the time. SNUB: Aaron Sorkin, not nominated Best Screenplay, "Steve Jobs"Sorkin is known as one of the best living screenwriters, and his adaptation of Walter Isaacson's "Steve Jobs" was one of this year's most anticipated scripts. Sorkin also received praise for the unique structure he established for the film, receiving a Golden Globe award for Best Screenplay on Jan. 10. SNUB: Todd Haynes, not nominated Best Director, "Carol"Many who saw the film "Carol," starring lead and supporting actress nominees Cate Blanchett and Rooney Mara, praised it for how artfully it was put together. That makes Haynes' absence in the Best Director field perplexing. SNUB: Steven Spielberg, not nominated Best Director, "Bridge of Spies"Spielberg directed "Bridge of Spies," one of the most well-received films of the year, yet, the two-time Oscar winner was left out of the Best Director category by the Academy this year. SNUB: Tom Hanks, not nominated Best Actor, "Bridge of Spies"The two-time Academy Award winner delivered another stellar performance in "Bridge of Spies," but didn't receive a Best Actor nomination for the film, despite its six total noms. The film's supporting actor, Mark Rylance, was nominated for an Oscar this year.